Product code: M948cc Categories: Sold Items, Sold Watches. The Hamilton watch company produced some very attractive and stylish watches, and this one is no exception. A very elegant 18ct solid gold Hamilton made in the early 1950’s. The case measures 35mm x 21mm (plus the crown) and has hooded lugs – also known as hidden lugs. The dial is so nice with gold batons, and this watch looks so typical of the era. 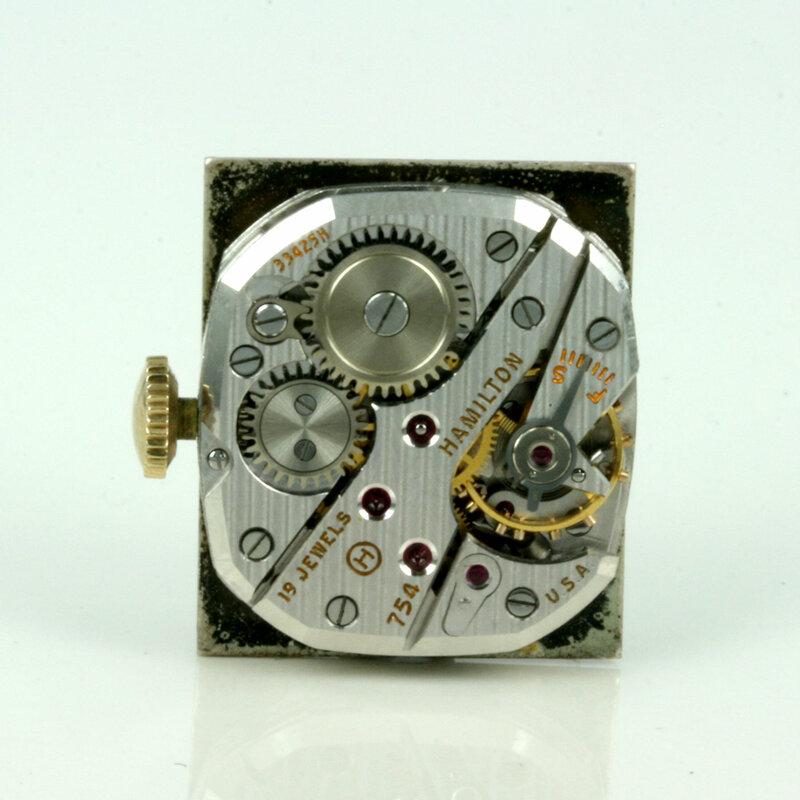 Inside it has a very high quality 19 jewelled manual wind Hamilton calibre 754 “Gordon” which keeps perfect time. Presented in 1954 for 20 years of service, this is a watch that will be admired when it is worn.